The Red House and the Village Hall are monuments to the village builder, Henry Burfoot. 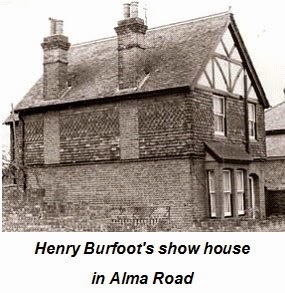 Henry Burfoot was a Bricklayer who lived in a cottage nearby Little Common within Eton Wick. He was born in 1858, and by the early 1890s he had built himself a show house with a substantial workshop and yard in Alma Road, Eton Wick. He also built many of the houses and terrace blocks in Alma Road, Inkerman Road, Northfield Road and Moores Lane, in the part of the village known as Boveney New Town. Henry Burfoot was more than a jobbing builder, advertising himself as a Building Contractor undertaking specialised work in the building of bakers' ovens, large hot coal fired ranges, and heating boilers. The imposing Red House fronting the Eton Wick Road was built by Henry for his son, also named Henry, in 1904 (see picture at the top of the page). In 1906 Burfoot and Son received the contract to build the Village Institute, now know as the Village Hall, on land gifted by Edward Littleton Vaughan. Building commenced in 1906, and the Institute was opened in 1907. 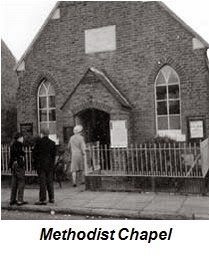 Burfoot also built the Methodist Chapel in Alma Road on land given by Mr Ayres. The Chapel opened in 1886. 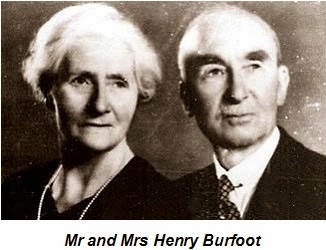 Mr and Mrs Henry Burfoot Jnr. were active members of the village community. Mr Burfoot was the secretary of the Village Hall Management Committee, a member of the Parochial Church Council, and a church sidesman. Mrs Burfoot was on the committee of the Eton Wick Nursing Association, and secretary of the Infant Welfare Organisation which had started in 1915. She was a founder member of Eton Wick and Boveney Womens' Institute, and a member of the Church Ladies Working Party. On his retirement Henry Jnr. sold the business to Prowtings, who after seven years sold it to J. T. Ireland who operated the building business from the Red House. James (Jimmy) Ireland had started his business on leaving the army after the Second World War. 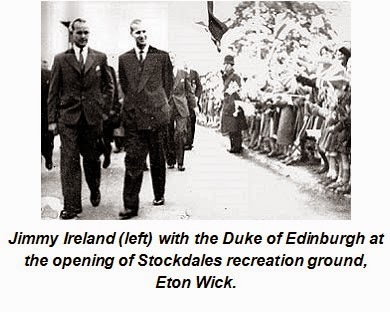 He employed around 60 men and apprentices, and built extensively in Eton Wick and Dorney. 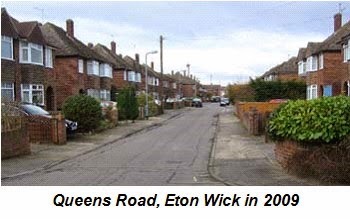 The Eton Wick developments include the houses in Tilston Avenue and Queens Road. Jimmy Ireland was a great supporter and benefactor to the village Scouts, the Youth Club and other organisations within the village. In 1947 he became an Eton Urban District Councillor and served as Chairman of the Housing committee. Following on his involvement in public service he was elected to the Buckingham County Council, serving as chairman of several committees and Vice Chairman of the County Council. Appointed as a magistrate in 1957 and made Deputy Lieutenant of Buckinghamshire in 1975, Jimmy was honoured with the CBE (Commander of the British Empire) in 1982. Upon Jimmy Ireland's retirement the building business J. T. Ireland ceased. A change of ownership brought changes to the Red House when in the late 1990s its size was doubled to incorporate two shops or offices (see picture at top of page).